I'm kind of obsessed with collecting blusher/bronzer these days. 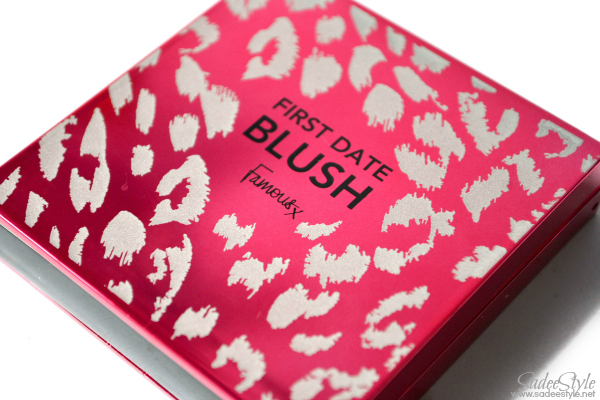 Sleek, MUA, Essense and The Balm all are in my wish list, but in order to bring you a most economical brands in bargain price I'm here with First Date Blush by Famous cosmetics. Available in five different shades in £4.99, but currently these blushers are on super sale price of £2.49. Trying new cosmetics brands is always fun because we can have good quality products in affordable prices. Famous Cosmetics is a new brand for me. I've tried Leopard Eye Palette and was impressed with the impressive quality. Currently, I'm reviewing First Date Blush in Scarlett shade. They come in a selection of five wonderful shades Angelina, Charlize, Keira, Penelop and Scarlett. 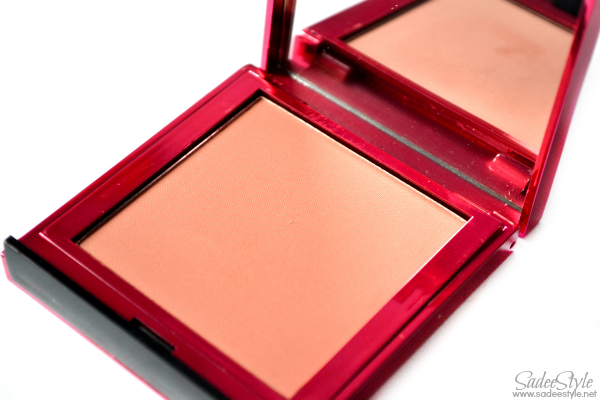 This beautiful and gorgeous blusher comes in a high quality compact with big mirror inside. A compact is quite big and comes up with 7.5g size and was covered with removable plastic. Well! It's very hard to detect exact colour from a website even in my images above shade looks so different. It's a very beautiful deep, dusky pink colour in real, but looking more coral/orange in images. Scarlett comes with a matte texture, but not powdery or chalky. They have not added shimmers in a blusher which is really an appreciating thing and make it suitable for everyday use. It's a very beautiful colour and wanted such subtle colour from a while. Such dark and deep shades are ideal for contouring or applying on chubby cheeks to make them look thin. I won't recommend it to use as a highlighter on cheek apples because of the thick intensity. Since texture is matte, but glides smoothly on skin without leaving powdery feeling stainy look behind. Quality is great with big mirror inside so we don't have to pick an extra and fine mirror in a purse while travelling around. I'm really pleased to have this dusky pink shade it's true spring summer colour, but I don't often wear makeup in summers because of the extreme hot weather. it's an amazing blush great value of money. What a awesome and exclusive Cosmetic collections! So awesome! I really like the impact of the adding and I really like along with combination. Amazing motivation as well!